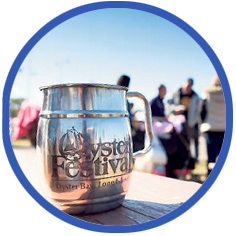 An annual event, now in its 35th year, the annual Oyster Festival is an Oyster Bay tradition. This section is produced by the Oyster Bay Enterprise-Pilot. The festival takes place in October, and includes a myriad of music, festivities, and food. 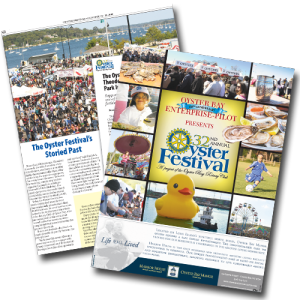 One of the largest fundraisers of its kind, the Oyster Festival is a project of the Oyster Bay Rotary Club and supported by the Oyster Bay Charitable Fund. Profits from all food court sales directly support 25 participating local charities while proceeds from carnival rides and merchandise sales is donated to additional charities supported by the Rotary throughout the year. Admission is free. Parking is free and most activities are free. This section’s mission is to promote this great festival and its support to the local community.